The government plans to start a 5-year road safety plan costing as much as RM50 million to promote safe driving habits and encourage the use or rear seatbelts. The government says it is in consultation with car manufacturers to introduce airbags in all new models from 2006 onwards in efforts to reduce the fatality rate in accidents which claimed 5,623 lives last year. Road safety education programs will be introduced in primary schools this year as a pilot test, with plans to implement it nationwide in 2007. 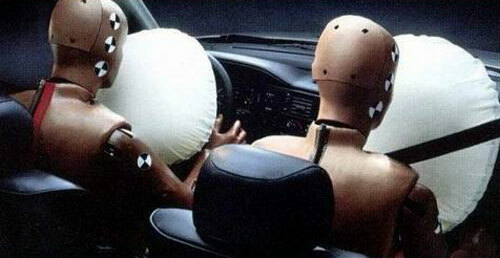 I am interested in the outcome of the compulsory airbags plan. The government is still in consultation stages with the car manufacturers and Bloomberg’s report did not say anything about plans to make airbags compulsory, it sounds more like encouraging the manufacturers to make airbags available across the model ranges for now. It would definitely drive lower-end models like the Perodua Kancil 660EX prices up.